A carved wood shabti figure, the surface covered in black pitch and retaining traces of yellow/ochre painted details and inscription. Ex. 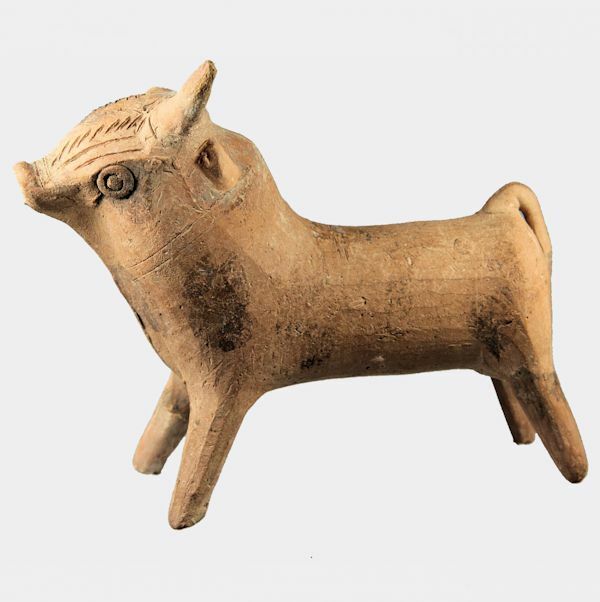 collection: Julian Bird, London, UK; acquired from Tetragon Antiquities, formerly sold in Bonhams, sale 11598, lot 9 (2005). Formerly in the collection of Hugh Stanley Russell, UK (1924-2000); acquired 1950’s-1970’s. A copy of Mr Bird’s collection notes including a full translation of the text will accompany this item.